Ability Mail Server is an advanced, secure and high performing mail server. Featuring SMTP, POP3, IMAP4, WebMail, Remote Admin, LDAP, SSL, SPAM Protection, Antivirus Protection, Content Filtering, ODBC and much more. 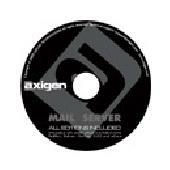 AXIGEN Mail Server-carrier class messaging solution backed up by first rate tech support;available for Windows XP and Windows Server 2003;provides (E)SMTP/POP3/IMAP4/Webmail services,centralized Web/CLI Admin,groupware,FREE technical support. Smart Email Verifier will check every email address from a given mailing list and determine if e-mails are still valid. It does 3 levels of checking; e-mail syntax, existence of SMTP mail server and e-mail box on server. Smart Email Verifier will check every email address from a given mailing list and determine if e-mails are still valid. It does 3 levels of checking; first it will check the e-Mail syntax, next it will verify the existence of the Smtp Mail Server and finally e-Mail box on the Smtp Server. Fast and secure mail server. Compatible with any mail client. Lots of security and anti spam features. Multiple SMTP gateways for messages that cannot be delivered directly. Parameterized mailing lists. 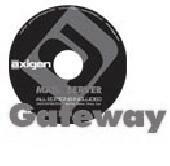 AXIGEN Gateway is a secure mail relay server, available for many Linux distributions, FreeBSD, OpenBSD, NetBSD and Solaris. AXIGEN uses firewall-like connection rules and is capable of integrating with most anti-virus / anti-spam applications.